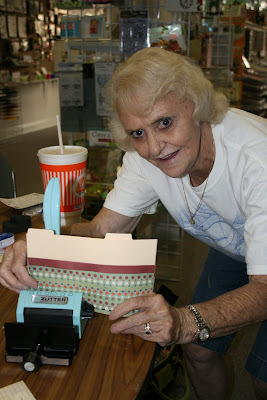 ... Richard Garay is a Stampin' Up demonstrator in Hesperia, Calif., and he was kind enough to email over a couple of the projects he has created with Kits2Remember acrylic and Srampin' Up product. 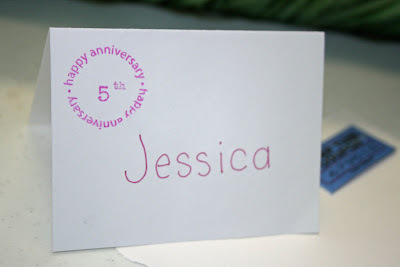 If you're a fan of rubber stamping, these are some gorgeous project sure to inspire you! Wanna see more of his work? Visit him online at www.thefunstamperscorner.com. 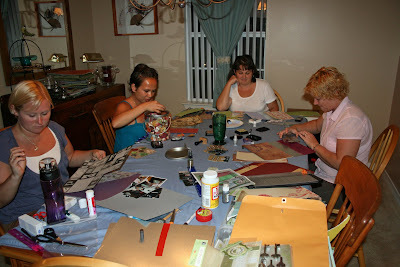 Craft night at my house Monday night: Some Pensacola moms got together at my house to create and some of them wanted quick lessons on the K2R metal message boards, Stickles and Ranger paint dabbers. We had a great time! 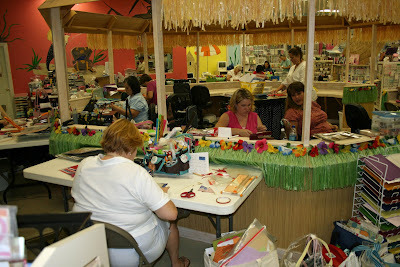 Thursday night I taught the "Men in My Life" class at Scraphappy here in Pensacola. 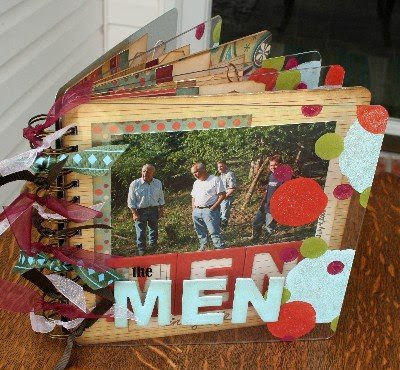 It's a great 8 x 8 mixed media album that is a companion to last month's "The Women in My Life" 8 x 8 album. Leftover its for both classes are available in the K2R store. 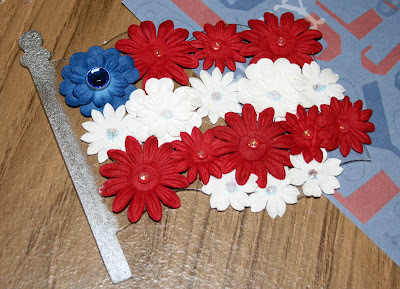 If you want to create something cute for the 4th of July next weekend, order these acrylic flags by Sunday and you will have them no later than Thursday! Need some more inspiration? 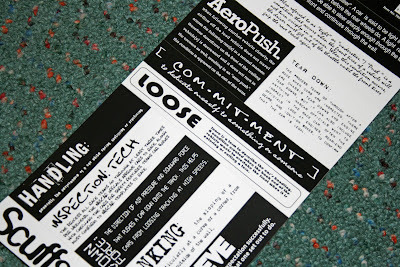 Don't forget to check out the K2R Design Krew's blog! 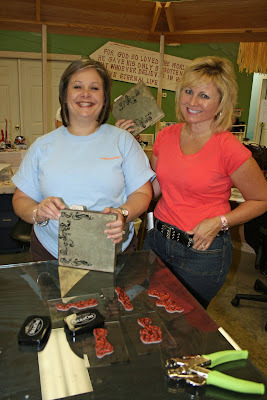 Today I had the pleasure of teaching my "Great Times, Good Memories" 8 x 8 acrylic album class at Gigi's Scrapbookin' and More in Foley, Alabama (Orange Beach/Gulfport area). 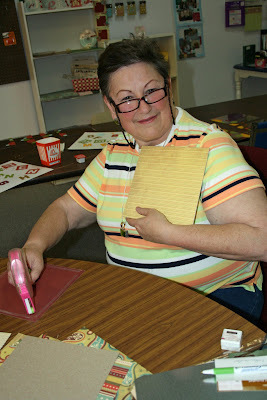 Gigi (also known as Gina) and her staff were celebrating their 5th anniversary with a couple dozen of their customers and she was kind enough to invite me to come and teach the class. 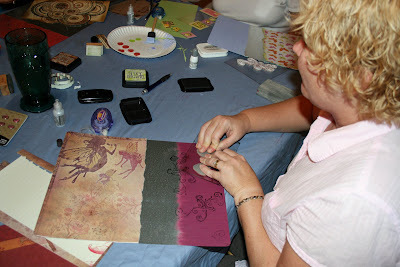 It was great to be among my scrappy "peeps" again, and managed to get about 10 layouts done, as well! 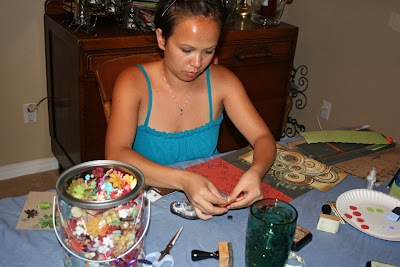 Gigi's regular, Lenora, and GiGi, herself, getting ready to punch and bind. 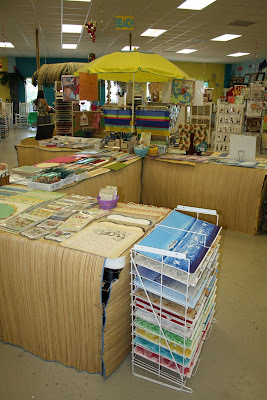 "Start on 'C' ... start on 'C' ..."
I love how the store embraces the local beach tourism with seashore decor ... including an umbrella and thatched tables full of new product (have you seen the new Jenni Bowlin and Crate Paper lines? Fun stuff!). After my short shopping spree, we headed for Tallahassee, arriving at about supper time. 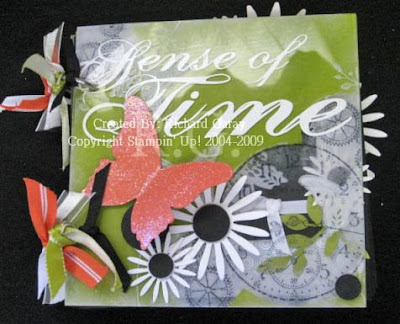 There had been a scrapbook store on my list to visit in that city, Scrapbook Market, but I had found out at the Crop Shoppe that the same owner owned both stores and the Scrapbook Market had recently closed. 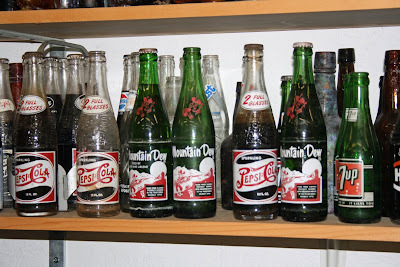 Unfortunately, store closures seem to be a trend right now, and I often called stores on my Google lists to find the numbers disconnected. 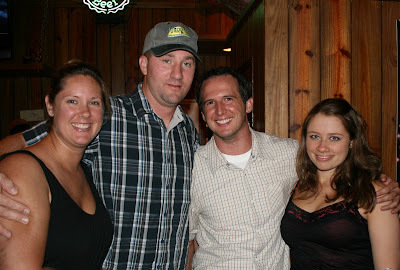 But we did see Rodney's buddy, Rick, and his girlfriend, Michelle while we were there. Rick and Rodney had been stationed at MCAS Yuma when I met Rodney in 1999. 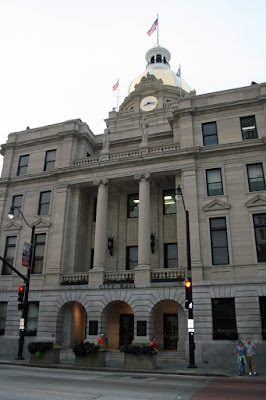 We arrived back in Pensacola Friday at about 4:30 p.m. As it turned out Chris, our friend we visited in North Carolina, was in Biloxi, Mississippi, for his training and drove over to visit us this time. I tortured the men by making them go see "The Proposal" (they both said it wasn't as bad as they feared - we all laughed through it) and then we turned in for the night. 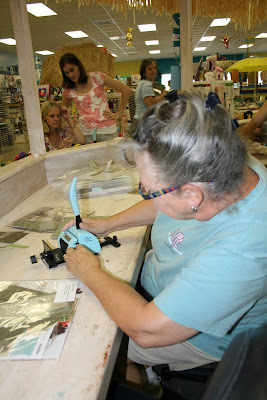 I had to wake up at 7:30 a.m. so I could head over to Gigi's Scrapbookin' and More in Foley, Alabama, to teach at her 5th Anniversary crop! Good-bye South Carolina, hello Savannah! Wednesday morning dawned and it was time to leave South Carolina. 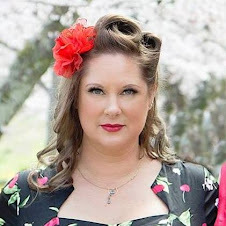 We thought about spending more time with my cousin, Marianne, and her family, and skipping our day in Savannah, but we decided to stay on schedule. Besides, we had been staying in Marianne's oldest daughter's room and I am sure Alyssa was happy to have her room (and bathroom!) back again! 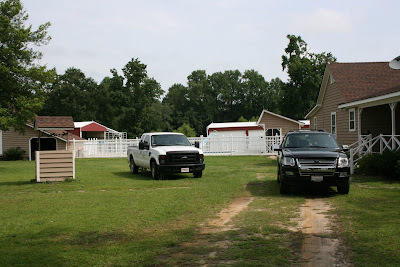 So, we loaded our stuff up into the Explorer again, and went out to the stable to pick up the dogs. 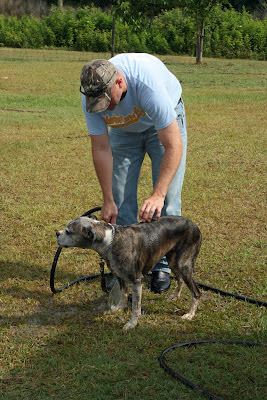 Before Rodney would let Marble and Ripley into the car, he insisted they have a bath. 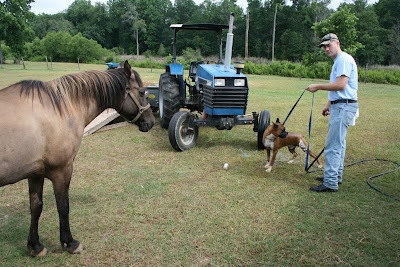 Marianne's 24-year-old Keiger mustang, Neva, appeared to want to help. Then we discovered, once we got out of her direct path, she was just waiting patiently for us to move so she could get to her water barrel - despite the fact she could have gone around us! 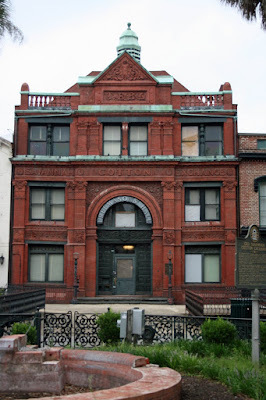 The Savannah Cotton Exchange used to have a beautiful fountain in front of it, but it was destoryed by a drunk driver last year. 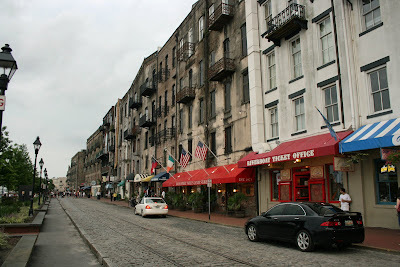 The shops and restaurants along the river is where we sought refuge from the heat and humidity before we decided to take a Ghost Tour of Savannah. We were a bit disappointed in the tour. The guide did not have too many stories to tell, often got the facts wrong and didn't try to make the tour at all scary or spooky. Oh well... Rodney promised me we would go back to Savannah at some point so I could tour the area better. I actually made a little album from a Bass Pro Shop Outdoor World gift card tin for Rodney. We have taken a picture of Rodney in front of each of the ones he has been to, and then I add them to the mini album, along with the date he first visited that store. A hunter's shopping history documented! 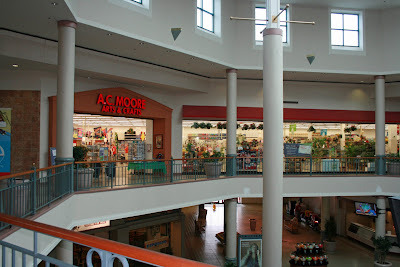 Fortunately for me, the Outdoor World was attached to a mall that also had an AC Moore craft store inside of it. I had never been to an AC Moore before, so I just had to go in and take a peek. 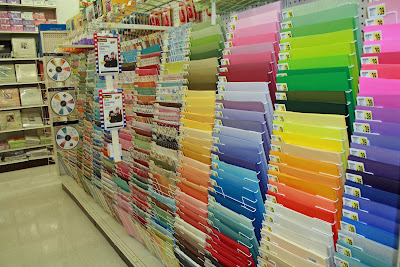 AC Moore had all the scrapbooking staples, and I love the way they display their paper, but I noticed that the prices seemed to be a little bit higher there than at other craft stores I frequent. 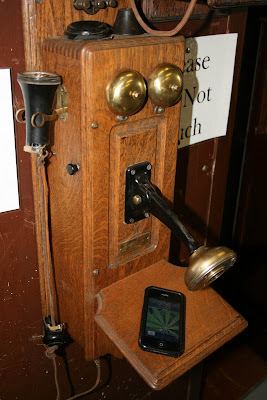 Of course, I did not check all of the products, so it may have just been my impression. 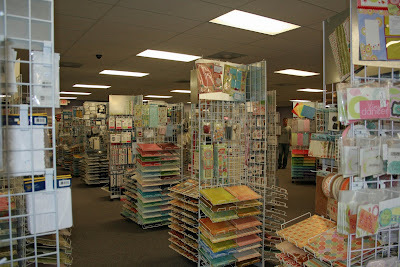 I still have to say that my favorite of the big box craft stores is Hobby Lobby, ad I am lucky enough to have one in Pensacola. 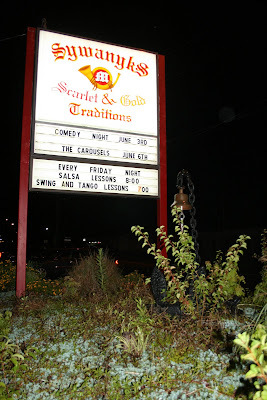 If you haven't been to one and have a chance to go, it's a must-do! 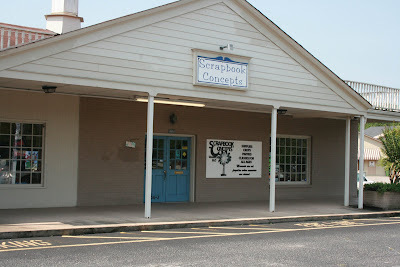 Being a fellow scrapbooker, my cousin, Marianne, was happy to take me to the local scrapbook store in the larger town of Florence, South Carolina, with our hussbands and her two daughters in tow. Florence is just south of Darlington. 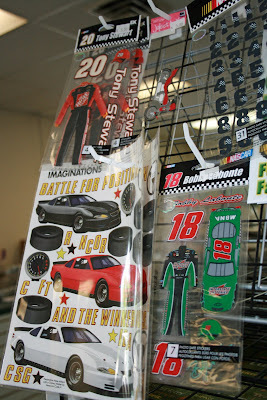 Scrapbook Concepts had all the scrapbooking staples, patterned papers and embellishments a scrapbooker could hope for, but with the added bonus of an abundance of racing and NASCAR themed items - appropriate due to the store's proximity to Darlington Speedway, of course. After touring Florence and eating at the Five Guys restaurant (think California's In N Out in the South - quite tasty!) 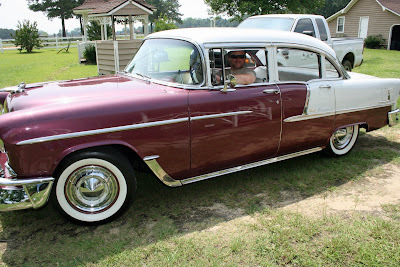 We headed out in Marianne's husband, John's 1955 Chevy Bel Air for a local museum, produce market and bakery called Mac's. 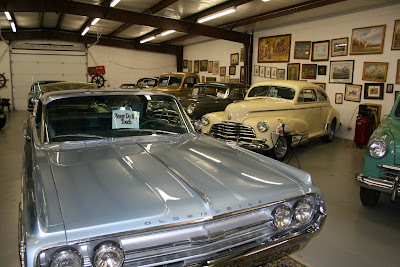 Inside the museum of sorts was a huge collection of antiques, cars, furniture, collectibles and more. 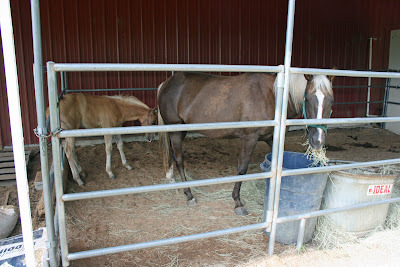 We headed back to the Rock-N-Horse Ranch ... it was time to feed the horses! Buttercup, a palomino quarterhorse, came to the ranch pregnant last year and had her filly, Clover, the day after St. Patrick's Day. 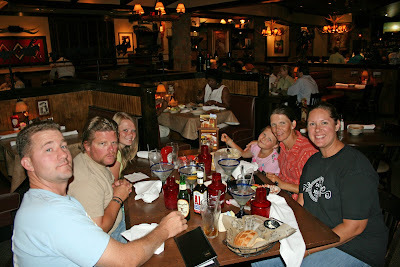 And, last but not least, a good steak dinner among family at the end of a busy day! 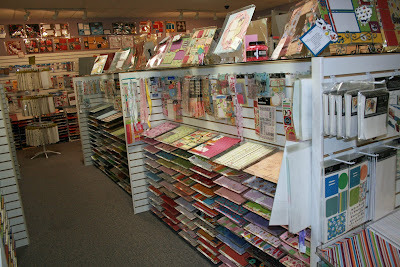 On Monday morning, Michi and I headed to the only scrapbook store I could find in Jacksonville, NC, called A Crafter's Dream. 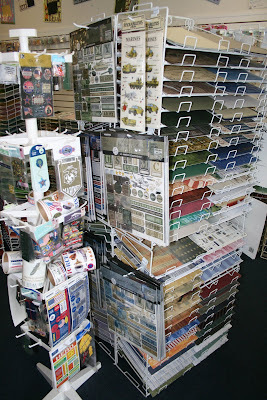 This small store had all of the scrapbooking staples and plenty of military-themed papers and embellishments, this being a huge Marine Corps town. 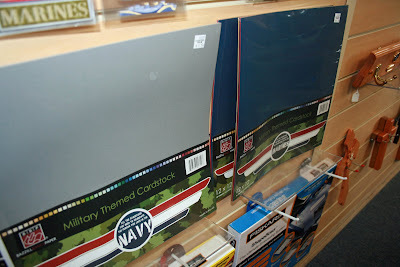 I was surprised to find that Bazzill had Marine Corps and Navy cardstock collection packs and just had to get the Marine one for when I scrapbook Rodney's military career. 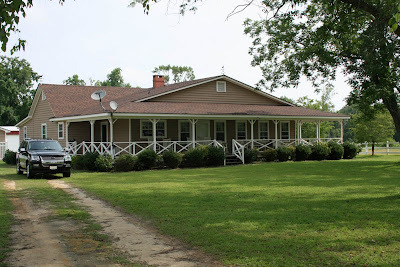 We said good-bye to Michi around noon and then headed off West again, to visit my cousin, Marianne, and her family in Darlington, South Carolina. 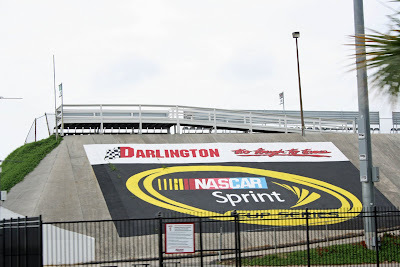 NASCAR fans might know Darlington due to the speedway there. And it is clear that NASCAR plays a huge part in the community there. 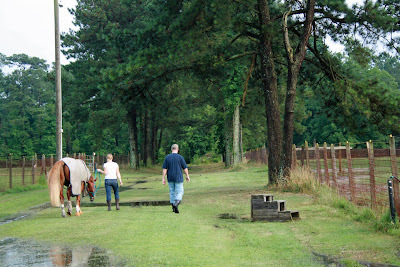 For the past two years, Marianne, with the help of her husband John and daughters Alyssa and Amanda, owns and manages the Rock-N-Horse Ranch in Darlington. 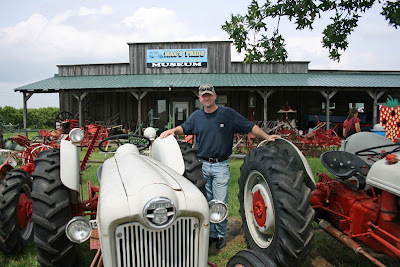 While I was raised in the Orange County, Calif., suburbs, I love the rural side of life, too. 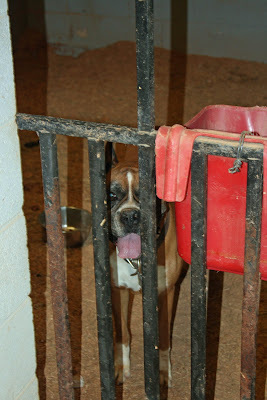 Rodney was basically raised on a farm, so for him, our visit to the ranch was going back to his roots. I cannot say the same for our dogs. ... Chris has a two-week air space course in Biloxi, MS, so he flew out this morning and that was the end of our fun with him. Michi, however, was a wonderful hostess and showed us all around Jacksonville ... which took about 20 minutes. I didn't even have time to remember to take photos! Just imagine a small town where they are a lot of men with short haircuts and everything is very green, but very damp... it rained on and off all day. We did do a bit a shopping: Rodney found some gear he had been looking for and I found some unique Marine scrapbooking supplies at the Camp Lejeune exchange - win-win for everyone! 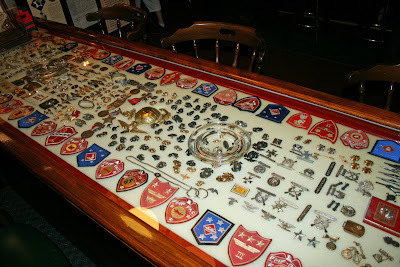 My favorites were clear acrylic dog tags etched with the Marine Corps logo and a few phrases, and a huge, 10-inch black Bazzill Cardstock die cut of the Marine Corps logo. Both are from Combat Creations. I have no idea what I am going to do with them, yet, but I'm sure I will figure something out! After a short break at home in the afternoon, Michi took us back to base to introduce us to her "baby boy," Amedeus. 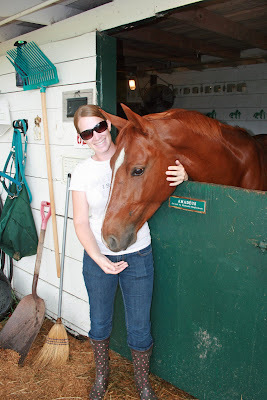 They compete in dressage events around the area and he is just a beauty. 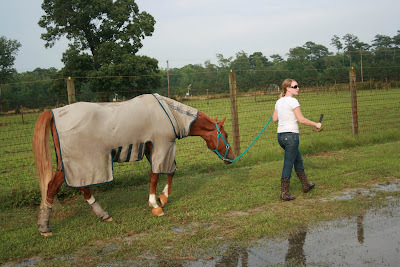 Each day, Amedeus gets to spend some time in the open pasture - complete with his anti-fly suit and boots on. 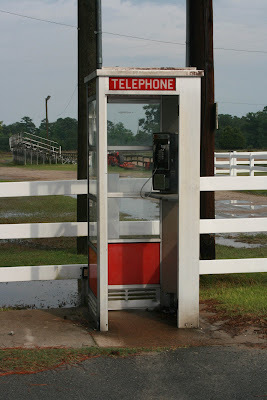 Last but not least, the stables had this telephone booth outside. 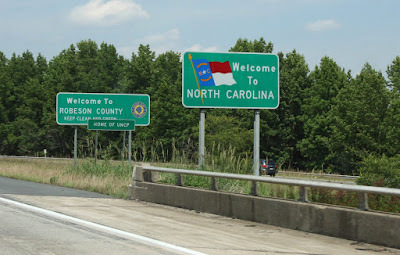 We left Tucker, Ga., about 8 a.m., hitting the I-20 East towards the Carolinas. 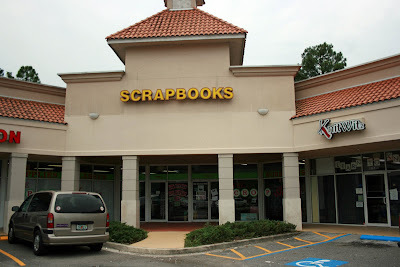 I had a couple of scrapbook stores on the list, Simply Scrapbooks in Augusta, Ga., and Scrappin' Creations in Columbia, SC. 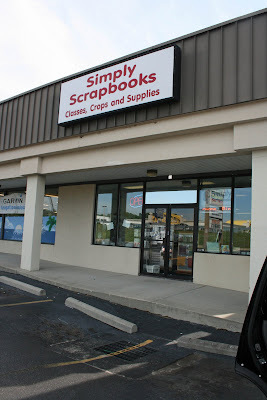 Simply Scrapbooks wasn't too far from I-20 and it shares a parking lot with Wal-mart, so it was a great stop for us travelers. 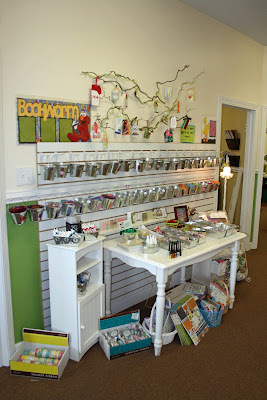 The owner was very nice and friendly and the store had a great variety of scrpping goodies. 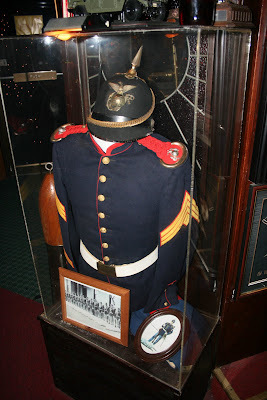 I especially liked their military section, which had some things I hadn't seen before. 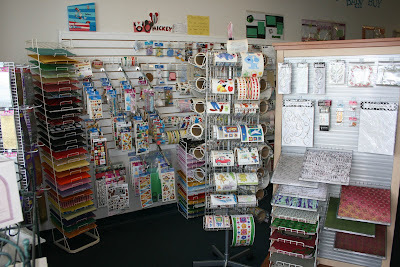 Scrappin' Creations was very much how I would set up a scrapbook store if I owned one. 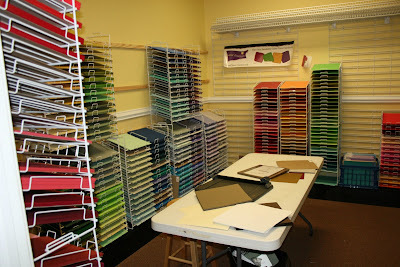 It was a brightly-lit labrynth of scrappiness, differnt rooms dedicated to different things: the tool room, the theme room (papers and embellies organized by theme) and the one I could have spend considerable time and money in: the cardstock room. 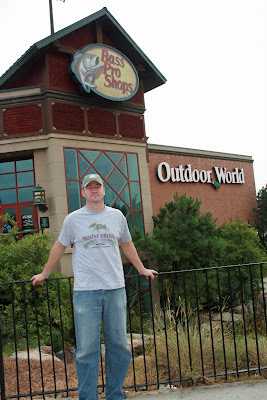 I really enjoyed this store, with its friendly, knowledgeable owner and staff and it's great selection of products that were easy to find. 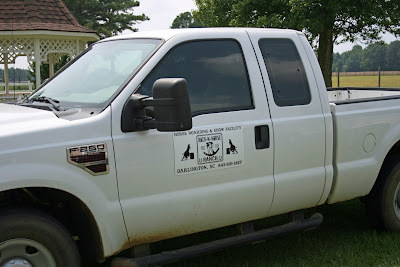 I would have spent even more time (and probably money) there if we didn't have the dogs traveling with us in a black Ford Explorer in 92-degree, humid weather. 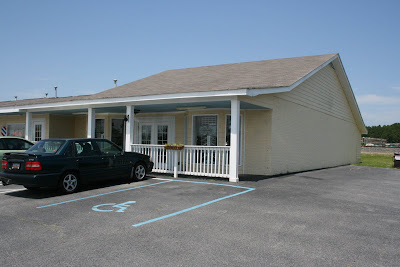 There is only so long husband and dogs would be happy meandering around the grassy knoll behind the store. 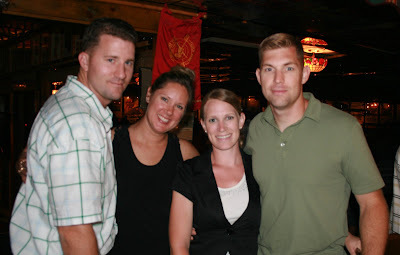 Rodney, the dogs, and I headed for Jacksonville, NC, where our friends, Chris and Michi, also at the mercy of the Marine Corps, are currently stationed. They took us to a really interesting bar/museum, Sywanyks. 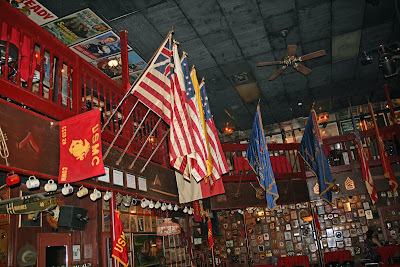 This place is huge, and covered from floor to ceiling in Marine Corps paraphernalia, contemporary and historic. We played pool, listened to the Top 40 hits and just took in all the stuff. 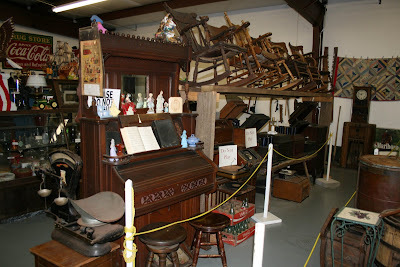 Chris said he's een there several times and he always finds something new. 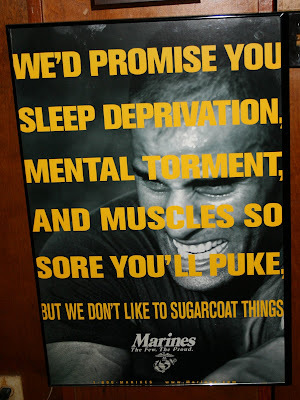 Today we'll be looking around Jacksonville and Camp Lejeune.